A deep and distinguished whiskey unanimously acclaimed by whisky connoisseurs worldwide. 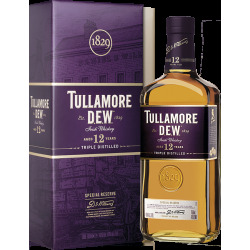 This 12 Year-Old version of Special Reserve is a luxury blended Tullamore Dew whiskey. 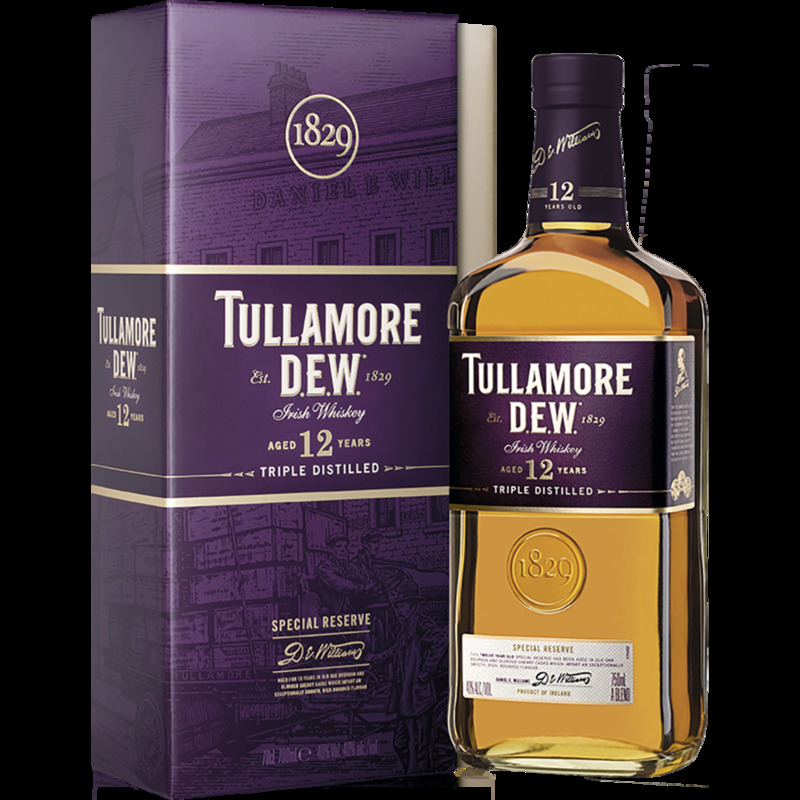 Being triple-distilled and matured in oak Bourbon barrels or Sherry casks for 12 to 15 years, Tullamore Dew 12 Years Old Special Reserve is a truly refined and balanced whiskey that highlights and sophisticates the original smoothness of Tullamore Dew Original. Tullamore Dew likes to say that with age comes maturity. This 12 Year-Old whiskey is a perfect exemple, as ageing increased its depth and complexity; and this might be a reason why this whiskey has been unanimously acclaimed by whisky experts worldwide. This 12 Year-Old Tullamore Dew Special Reserve was awarded not less than 17 Gold Medals wordwide during the last fifteen years. Colour: gold with orange glow. Nose: deeply aromatic, with lovely hues of fresh fruits, grapes, grains, a hint of citrus and delicate touch of hazelnut. Palate: a frank attack with rich flavours of spices and linseed oil providing a remarkably velvety mouthfeel. Sherry gives clear notes of cinnamon, caramel and vanilla and woody aromas. Finish: of great length and rich, evocative of vanilla and spices over a lingering backdrop of Sherry creaminess, dark chocolate and light almond.